We understand that there has been a problem with WisePay and our online banking system, with some parents not being able to login to the WisePay site to pay for this trip. We hope that this issue will be resolved soon, please keep trying. 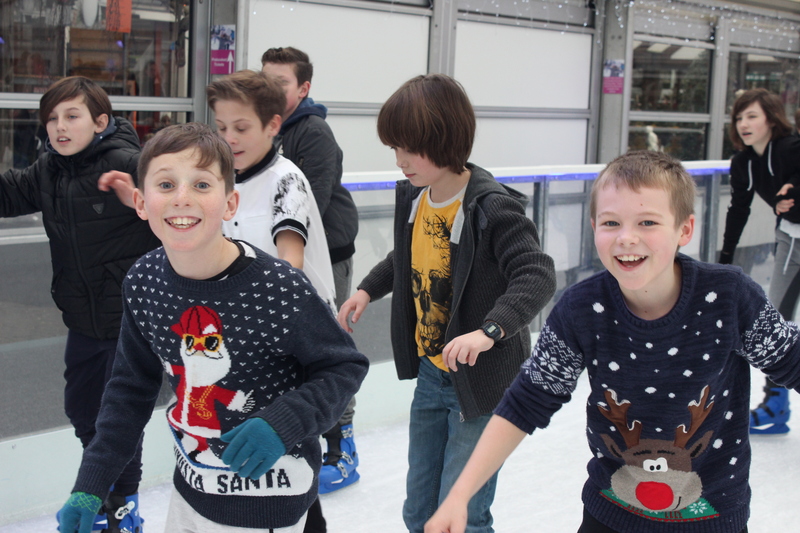 Once again we have negotiated a deal with Van Hage so that all of our students can enjoy a subsidised skating session for only £8.00 on Tuesday 4th December 2018. Each year group has been allocated a time slot and will travel to and from Van Hage by coaches or by school minibuses. Break and lunch arrangements will be modified accordingly and we have made the day a non-uniform day to make it easier for the students to skate. When your child isn’t skating or travelling, normal lessons will take place. Due to the complexity of organising such an activity day, students who cannot or do not wish to participate will be given appropriate work to do and will be supervised at Chauncy whilst their year group attends the session. With the exception of Session Four Van Hage will be making these sessions exclusive to Chauncy School. Therefore, we will need to confirm numbers quickly to secure our booking. The trip will be made available exclusively on WisePay at 4.00pm on Friday 26th October 2018 and we ask that you complete a payment of £8.00 via WisePay no later than Monday 5th November 2018. Please direct any questions about Wisepay to Jackie Grosch via jackie.grosch@chauncy.org.uk or telephone 01920 411200. If your child is entitled to either Free School Meals or Pupil Premium we have already paid for their place on this trip. Please e-mail Jackie Grosch via jackie.grosch@chauncy.org.uk and let us know if your child does not wish to participate in this activity by Monday 5th November 2018. Each skating session is restricted to 210 skaters so places on this trip will be available on a first come, first served basis. We will operate a reserve list if the trip becomes fully booked. If you have any general questions about the trip please e-mail me at stephen.walton@chauncy.org.uk or telephone 01920 411200.